Japan’s Epsilon rocket (Credits: JAXA). On Friday November 30th, the Japanese Aerospace Exploration Agency (JAXA) announced an investigation into a possible data leak relating to its Epsilon rocket due to a computer virus. The news, first reported by the Kyodo news agency, stems from discovery of spyware on November 21 on one of JAXA’s personal computers at Tsukuba Space Centre, northeast of Tokyo. Although the computer was immediately disconnected from the local area network, the virus was found to be secretly collecting data to be sent outside the agency. Epsilon is a small next-generation solid propellant rocket. The program started in 2007 and the maiden flight has been already scheduled for autumn 2013. 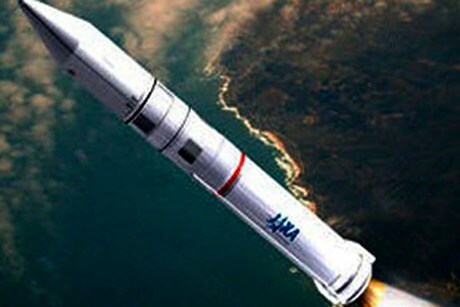 Epsilon is supposed to join the existing H-IIA and H-IIB liquid engine rockets, providing Japan the capability of competing with the US, Europe and Russia as a satellite launch vehicle provider. Epsilon will also feature a new cost-saving technology. In fact, the rocket is going to have the capability to be remotely controlled by a personal computer. The security breach, which included engine parameters, involved more than data just on Epsilon. According to an agency statement, data on H-IIA, H-IIB, and the Epsilon’s ancestor, MV-5 may also have been leaked. The investigation is now focused on finding the malware’s origin. JAXA cannot confirm if the virus is a stray one or the result of a hacker attack. However, this situation is not entirely new. In early September, it was reported that many Japanese defense companies were targeted by similar information-stealing viruses. The origin of some of those has been traced to China. According to Motohiro Tsuchiya, professor at Keio University and member of a government cyber security advisory body, attacks on the Japanese system are increasingly sophisticated and subtle. JAXA has been targeted before, when technical specifications for the H-IIA were stolen from a laptop in 2011. Nor is Japan the only target. In 2008 a virus was found on a laptop aboard the International Space Station and in 2007-2008, two of NASA’s satellites were hacked. More recently, British Aerospace has confirmed that its computers were breached by Chinese hackers stealing details about the US F35 Joint Strike Fighter. Below, the launch of H-IIA on December 12, 2011. Its data may also have been stolen.